Due to the high demand for our clinic appointments, please only schedule an appointment if you are sure you will be able to make it. Plan ahead: appointments for routine issues are typically booked at least 1-2 weeks out. PAWS’ clinics are closed the first Wednesday of every month from 8am-12:30pm for staff meetings. Rescued dogs and cats waiting for loving homes. Wellness exams and treatments for common conditions. $25 for the visit, plus the cost of any tests/medications prescribed. By Appointment. 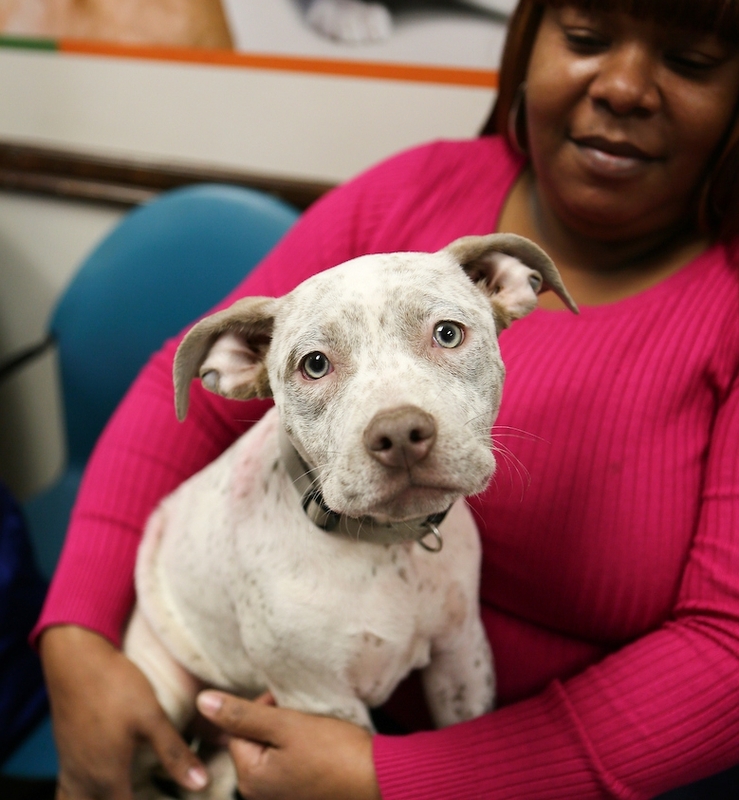 : Call 215-545-9600 or email neclinic@phillypaws.org. Call 215-545-9600 or email neclinic@phillypaws.org. Tuesday - Saturday: By appointment. Call 215-545-9600 or email neclinic@phillypaws.org. Walk-ins are for basic services listed below only. If your pet is sick, please schedule an appointment. Spay/neuter for feral cats is available, space permitting. Please call or email two days prior to the day you expect to be able to bring cats in to confirm availability. 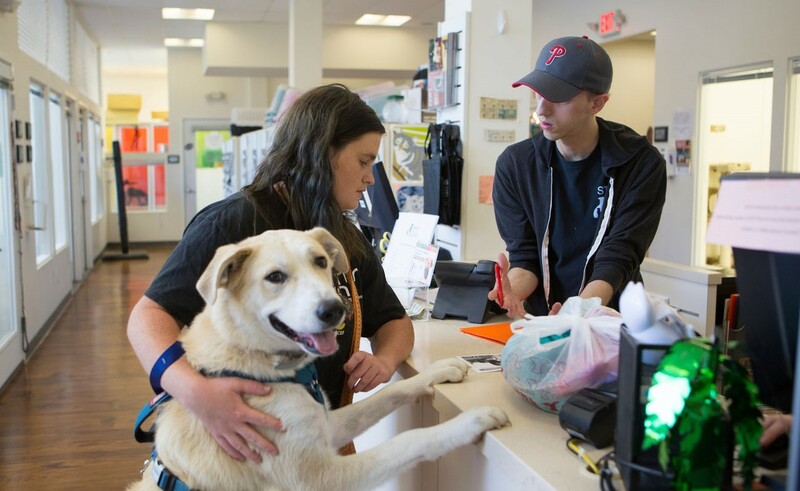 Located at the corner of Grant and Bustleton Avenues, PAWS’ Northeast adoption center enables us to rescue and find loving homes for thousands of stray and abandoned dogs and cats. Our adjacent low-cost clinic helps struggling pet owners care for and keep their cherished pets, rather than face surrendering them to shelters, and prevents the birth of countless unwanted litters. PAWS’ Northeast facility features Mural Arts’ Program’s “Forever Home,” a celebration of our community’s work to save pets in need.  All our efforts – to prevent pet homelessness and save the ones who need rescuing – lead us closer to our ultimate goal of making Philadelphia a no-kill city.